After a long and careful preparation, from April of 2018, the 24h Medical Website on VTV News Online Newspaper is released together with 24h Medical News on VTV1. 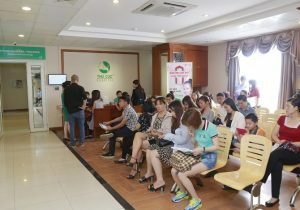 The press conference was attended by leaders from Ministry of Health, Vietnam Television and nearly 50 other hospitals nationwide. 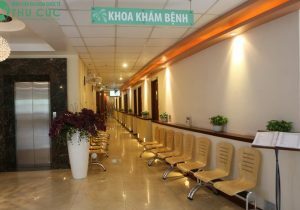 Thu Cuc Hospital is honored tocoordinate with 24h Medical Website. Ms. Nguyen Thi Kim Tien, the Minister of Health highly appreciates the effort and performance of the participants. 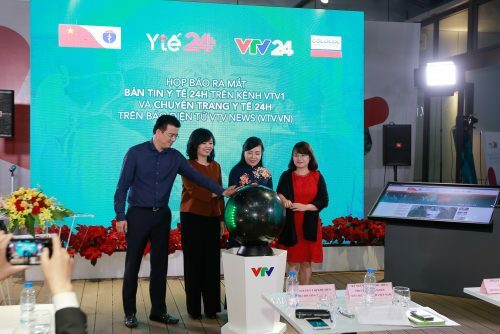 From left: Mr. Nguyen Quang Minh, Director of VTV 24h, Ms. Nguyen Thi Thu Hien, Deputy General Director of Vietnam Television, Ms. Nguyen Thi Kim Tien, Minister of Health and Ms. 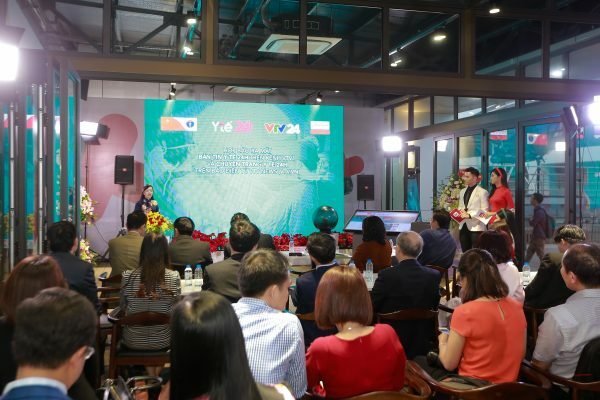 Vu ThanhThuy, Chief Editor of VTV News launched the program. 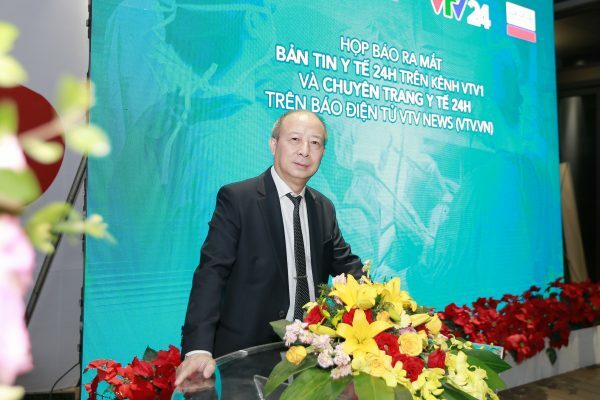 According to the Minister of Health, Vietnamese people do not care about preventive healthcare, not being aware of the importance of health check-up. And in general,the body condition of Vietnamese people is not good, the average height is low in comparison which of SEA countries. 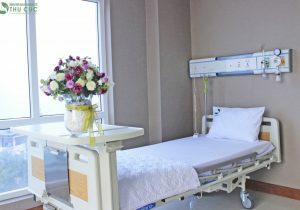 Because of poor healthcare services provided at inferior health care facilities, it is the common thought that when having medical problems people should go to superior healthcare facilities, this costs them a lot of money. In many other countries, when experiencing a health problem, first people should gethome care services or find a family doctor then they may be transferred toa superior healthcare facility if required. Therefore, to connect people, doctors and the authorities, Medical News Program on VTV1 and Medical Website of VTV News are very essential and meaningful. The Minister of Health also emphasized on the role of the consultants who will take the responsibility to provide people with appropriate guidance and consultation. She affirmed that all the departments, agencies of the Ministry of Health are ready to support the program with information as well as financial aid. Minister of Healthconfirmed that “The Ministry of Health is willing to provide information and financial aid to the program”. Released on VTV News in 2018, 24h Medical Websitewill be practical and supportive information channel. Particularly, the program aims to the disadvantaged and vulnerable groups of people in society. Emphasizing the effectiveness of the program, Ms. Vu ThanhThuy, Chief Editor of VTV News said that the participants had clear reason to believe in the effectiveness and practicality of online hospital, as this program has been thoroughly studied and advised by leading experts and counselors.According to this program, information relating to health careshall be published on the news and practical activities shall be organized at other provinces for public health purposes. Hospitals will organize life skilllessons, on-site examinations and consultation. News relating to medical issues shall be continuously updated on the website. This is the very first time that an online hospital has been integrated on an online newspaper where people can talk and exchange information with specialists, getting to knowabout the programs on free medical examinations, medicine distribution, etc. Thanks to these advantages, 24h Medical Website at vtv.vn ensures to achieve the goal of becoming a leading health consulting program in Vietnam. 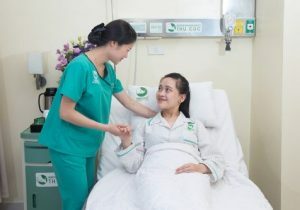 As a medical facilitywhich has been always contributing to many activities for public health purposes, Thu Cuc International General Hospital plays a critical role in the implementation ofthe online hospital. Dr. Le Tuyen Hong Duong (Meritorious Doctor, Senior Doctor) – Medical Director of Thu Cuc Hospital said.“Thu Cuc Hospital is honored to be a participant with VTV News for the implementation of online hospital. Thanks to this program, people can get and exchange medical information with doctors for free. This is also the goal of Thu Cuc Hospital: “For the purpose of people-centered healthcare”. 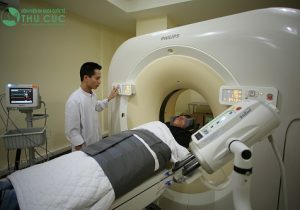 Contributing to this program, Thu Cuc Hospital ensures to provide information, financial support and consultancy by highly-skilled and prestigious doctors. 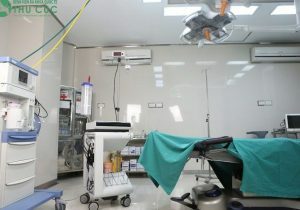 Besides, the hospital is willing to send medical staff to other provinces for screening and medical consultation.